Show Hire has an extraordinarily diverse portfolio of current and previous clients from all areas of the communications world. 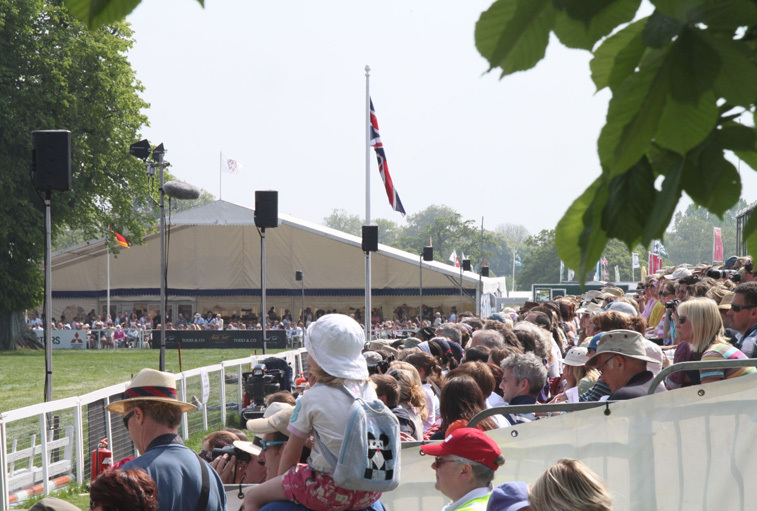 Our work has included supplying event communications, public address systems and commentary units to some of the largest public events in the world. Our communication systems have kept people informed across the UK and Europe at both indoor and outdoor venues; from small, intimate events to crowds of 250,000 people. Our wide and varied services include hire and sales, temporary and permanent installations, as well as event and technical support. Our staff are always on hand, either in our offices or on-site around the clock, to liaise with clients at all levels and to help you deal with any eventuality. Please click on an image from our business sector grid below to find out more about services relevant to your needs. Alternatively, visit our projects page to read case studies of our previous and current work. During the preparation and planning of a large outdoor event, health and safety should be one of the primary concerns of any responsible organiser. The channels and systems through which event officials and members of the public communicate is arguably the most crucial part of any event structure. 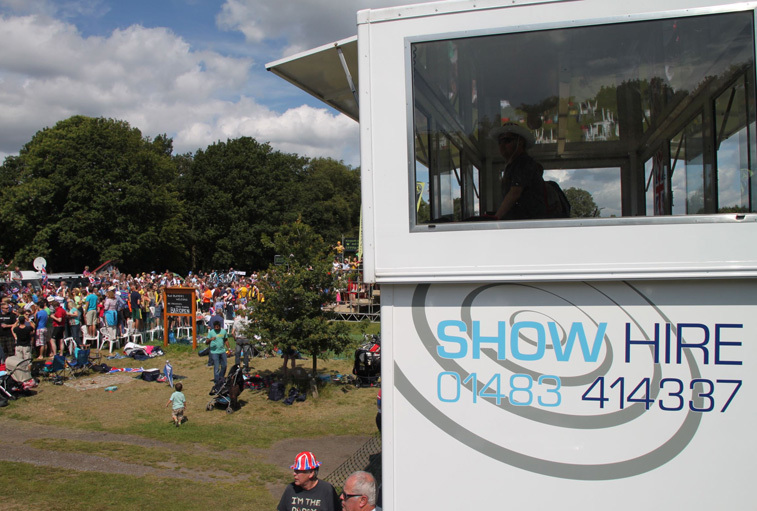 Show Hire provides public address systems to cover show and event sites of any size, broadcasting not only commentary and general announcements but also warnings and crowd safety announcements. We offer clients the ability to control their public address systems remotely, as well as the option to broadcast pre-recorded announcements (e.g., for site clearance) as well as links to adjacent radio and telephone systems. These allow any event official to broadcast in real time over the site systems, via their two-way radio or by dialling a particular extension from any handset on a site-wide telephone network. We also supply the industry-leading Q-Sys platform, the most powerful and versatile solution for audio management, processing, and distribution. Please take a look our work at Farnborough International Airshow for an example, or contact us if you would like to know more. For previous events, Show Hire has provided coverage for crowds in excess of 250,000 people, over vast areas, and in zoned systems that can reach large numbers of people from a central command point. We also supply radio communication systems that allow event officials to liaise and stay in touch with emergency services and event organisers over wide areas using digital, duplexer repeater systems. If you require any information on these or any other of our services please contact us. Show Hire has been at the heart of equestrian events since the 1970s. We are sole public address suppliers for the two largest events in the UK, and arguably the most prestigious equine events in the world: Badminton and Burghley Horse Trials. Both are world-renowned for their excellence not only in the presentation and quality of their cross-country courses, but also the standards enjoyed by members of the public in the trade stands and facilities. At the centre of these events lie the communication systems that Show Hire supplies. These allow the respective event organisers to stay in touch with massive crowds (over 400,000 people across the two events) and to keep members of the public apprised of what is going on at all times. 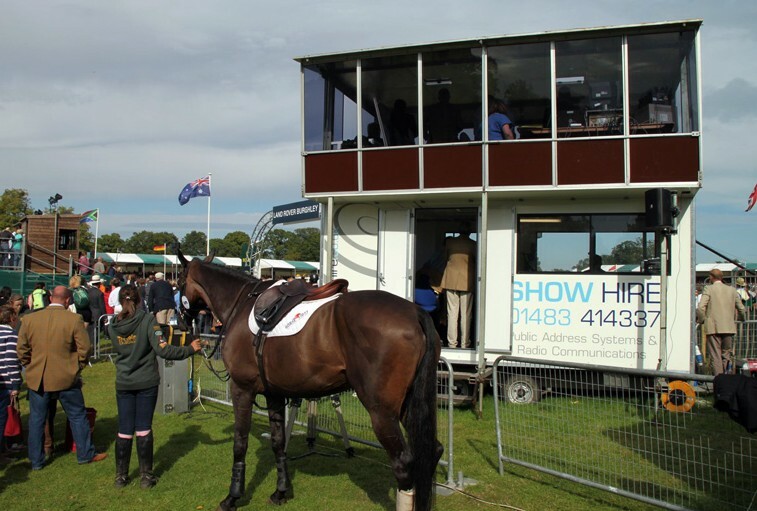 Alongside large international events like these, we supply equipment and services to the majority of British Eventing affiliated horse trials (big and small) ranging from full communication systems to small PA and radio hire, as well as timing systems and generators. The centrepiece of any large event or County Show is likely to be the arena. 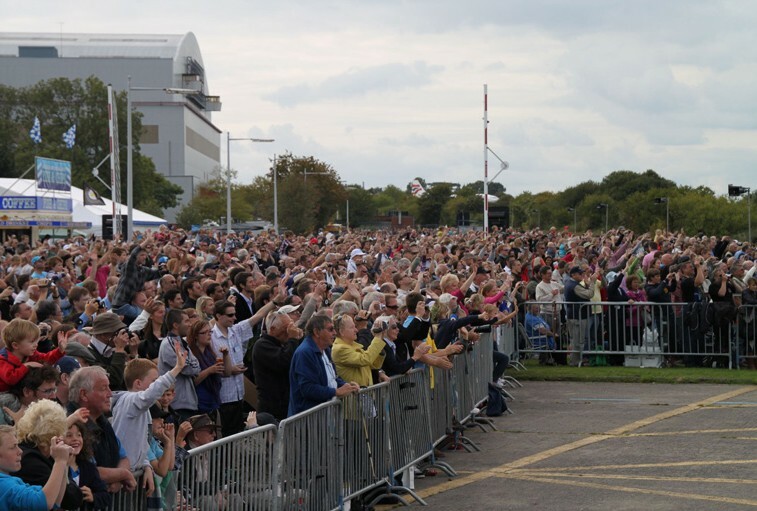 Its programme of displays and demonstrations often make it the focal point of the whole event. The success and enjoyment of these displays are all dependent on the quality of the sound system and microphones; with as many as 20,000 spectators (and sometimes more) in a small area, quality is essential. Show Hire supply a variety of equipment configurations, to suit any budget. The classic ‘column speaker’ system is the preferred choice of many organisers. Column speakers, mounted on scaffold poles, give a clean and clear sound, even for music. The system is loud, but it won’t overpower the rest of the show site. For very large arenas where professional sound quality is a must, Show Hire offers an award-winning range of speakers by audio engineering giants Electro-Voice. Using Electro-Voice’s ZX1 speakers, the system can generate 3000 watts of sound, giving concert quality sound to crowds in excess of 20,000. A large range of microphones, amplifiers, mixer and commentary units are all available to complement the system, all professionally installed and maintained by our experienced staff. Show Hire offer a large range of portable presentation systems, catering for audiences of any size. We can supply self-contained, all-in-one, cordless systems, which run from their own internal battery packs. These can be used in any situation – from an office environment to an outdoor setting – where presentation systems are required. Show Hire supplies its range of systems to a wide variety of functions, including weddings, sports days, fun runs and many other sporting events, for prize-giving ceremonies, general announcements, and music playback. Our portable systems are capable of covering crowds of anything from 50 to 1,000 people. The portable presentation systems all come with a range of UHF wireless microphones, operable on 16 selectable channels, and each can be used in single or dual modes. We offer handheld, headset-worn, or lapel-worn. The range can also support additional slave speakers for occasions when more power is required. Many of the systems come complete with built-in CD players and all have the ability to take an input from an MP3 player or any other audio device with a line-level output. If you would like any further information on these systems or any other products we offer please contact us.